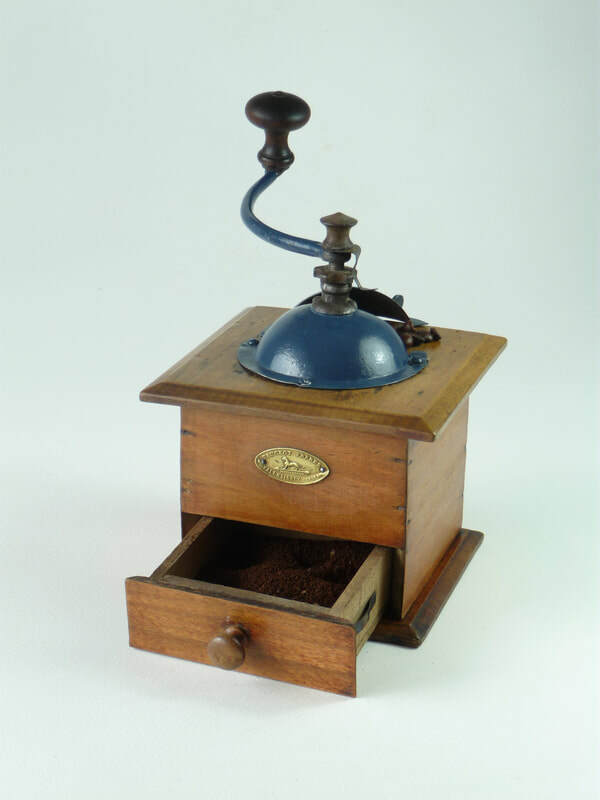 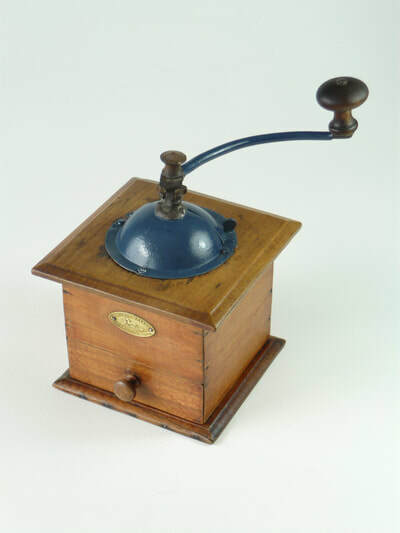 An authentic French coffee grinder made by Peugeot Freres. 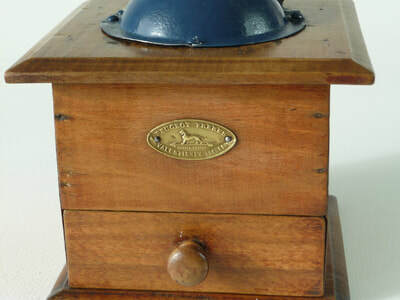 This dates from around 1910, and comes with the original brass makers stamp showing the Peugeot lion. This means that it was made in the Valentigney factory near Paris. 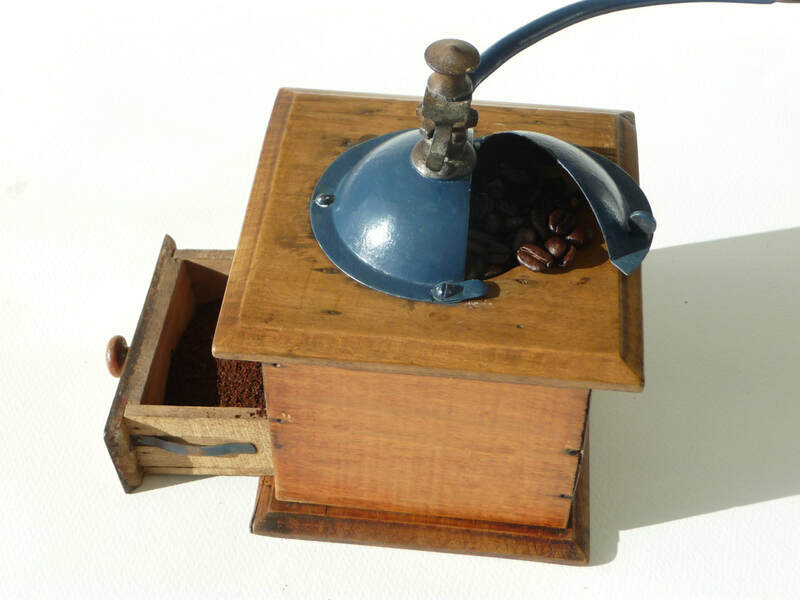 It has recently been fully refurbished and is clean and ready to use. 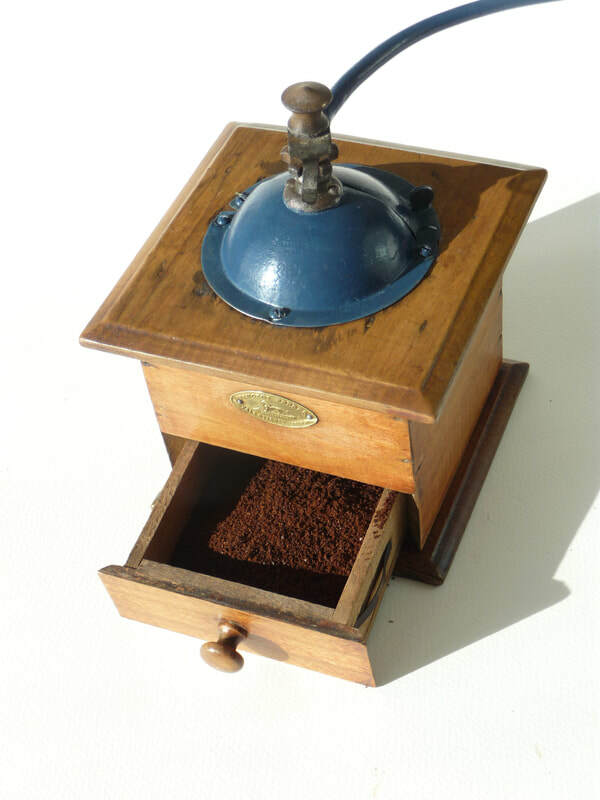 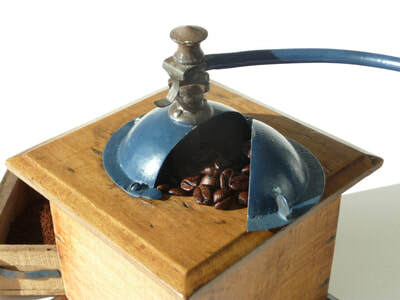 Antique coffee grinders are iconic, beautiful as decorative items but also practical for coffee connoisseurs. 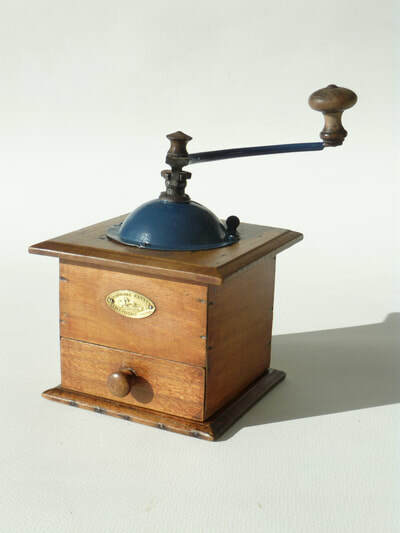 The Peugeot brothers produced these at their Valentigney workshop years before they began car production. 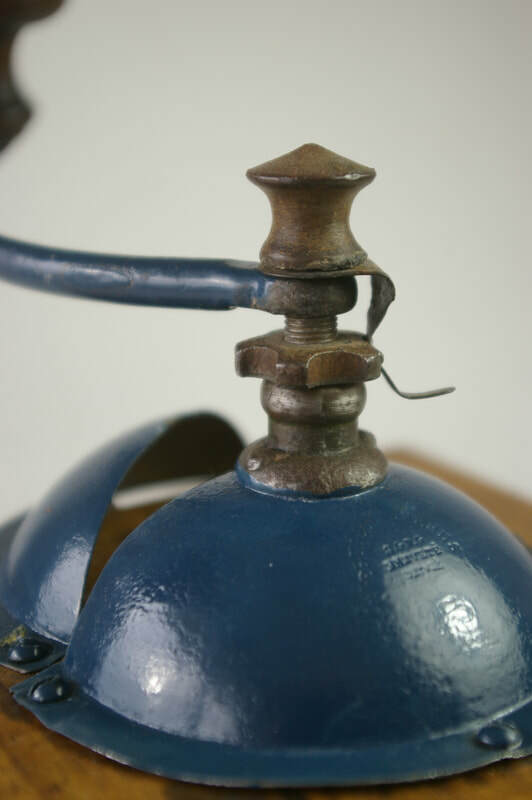 This piece is made of wood with a blue metal top. 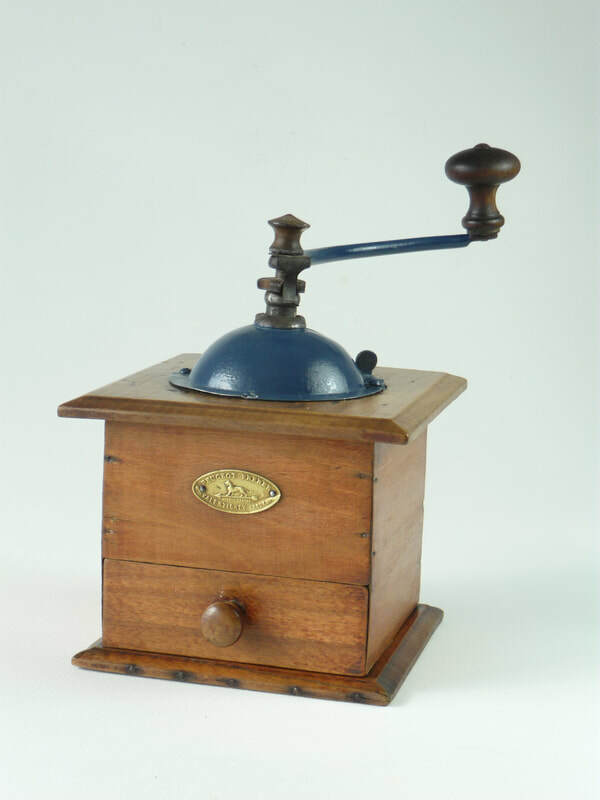 Price includes parcel courier delivery to mainland UK. For buyers in Europe and beyond, please contact us for a shipping quote.